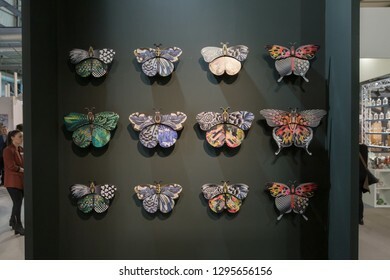 25,597 stock photos, vectors, and illustrations are available royalty-free. 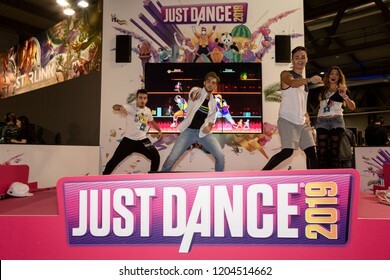 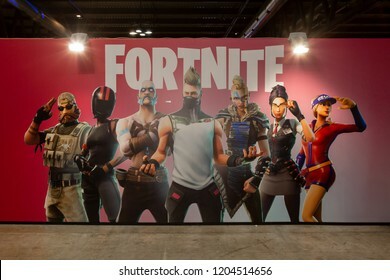 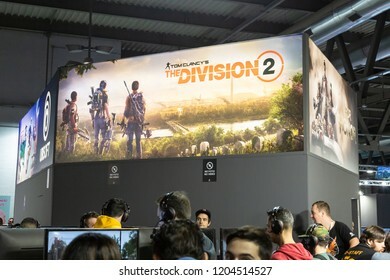 MILAN, ITALY - OCTOBER 5: People visit Games Week 2018, event dedicated to video games and electronic entertainment on OCTOBER 5, 2018 in Milan. 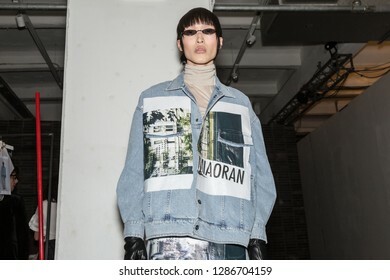 MILAN, ITALY - JANUARY 13: Beautiful model poses in the backstage just before Miaoran show during Milan Men's Fashion Week on JANUARY 13, 2019 in Milan. 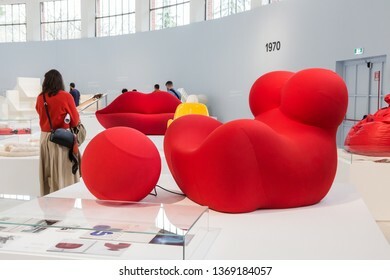 MILAN, ITALY - APRIL 12: People visit Italian Design Museum at Fuorisalone, set of events distributed in different areas of the town during Milan Design Week on APRIL 12, 2019 in Milan. 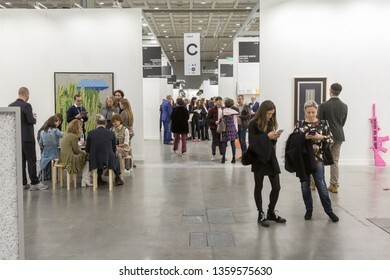 MILAN, ITALY - APRIL 4: People visit Miart, international exhibition of modern and contemporary art on APRIL 4, 2019 in Milan. 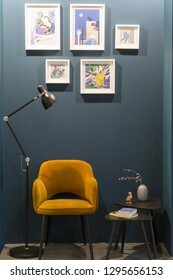 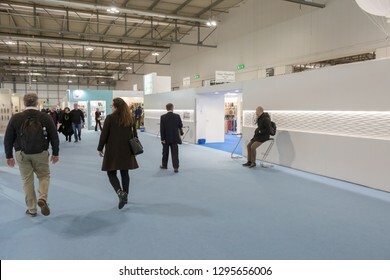 MILAN, ITALY - JANUARY 25: People visit HOMI, home international show and point of reference for all those in the sector of interior design on JANUARY 25, 2019 in Milan. 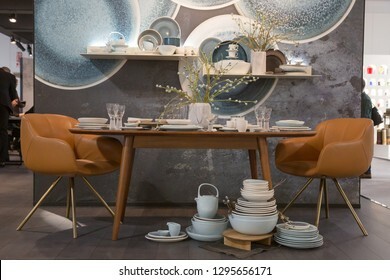 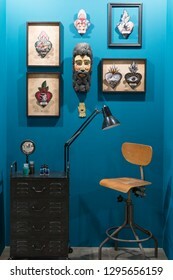 MILAN, ITALY - JANUARY 25: Furniture on display at HOMI, home international show and point of reference for all those in the sector of interior design on JANUARY 25, 2019 in Milan. 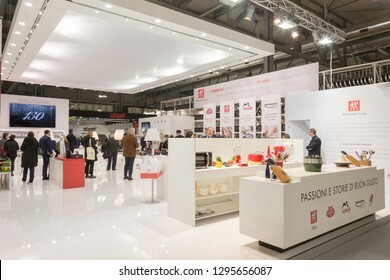 MILAN, ITALY - JANUARY 25: Kitchen Aid machines on display at HOMI, home international show and point of reference for all those in the sector of interior design on JANUARY 25, 2019 in Milan. 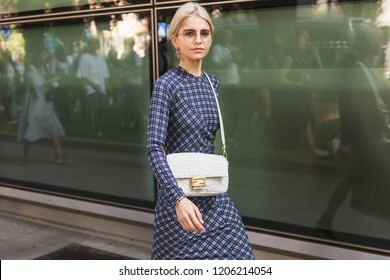 MILAN, ITALY - SEPTEMBER 23: Fashionable woman poses outside Giorgio Armani fashion show during Milan Women's Fashion Week on SEPTEMBER 23, 2018 in Milan. 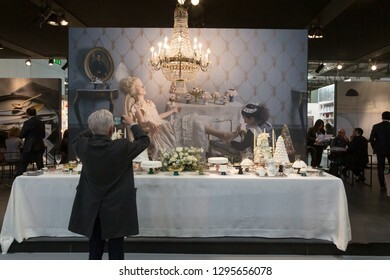 MILAN, ITALY - FEBRUARY 22: Fashionable woman poses outside Blumarine fashion show during Milan Women's Fashion Week on FEBRUARY 22, 2019 in Milan. 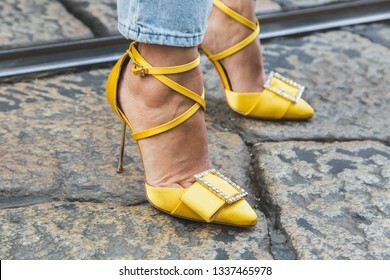 MILAN, ITALY - FEBRUARY 22: Detail of shoes outside Blumarine fashion show during Milan Women's Fashion Week on FEBRUARY 22, 2019 in Milan. 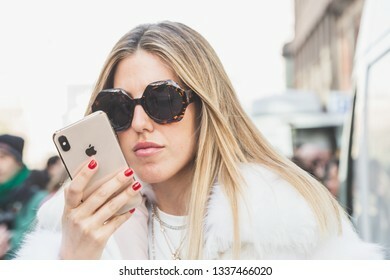 MILAN, ITALY - FEBRUARY 22: Fashionable woman is seen while texting on her iPhone during Milan Women's Fashion Week on FEBRUARY 22, 2019 in Milan. 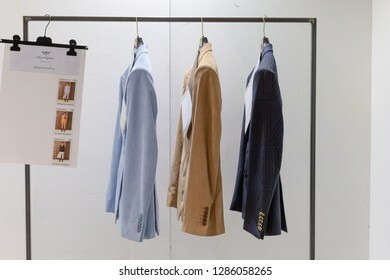 MILAN, ITALY - JANUARY 12: Detail of clothes in the backstage just before Miguel Vieira show during Milan Men's Fashion Week on JANUARY 12, 2019 in Milan. 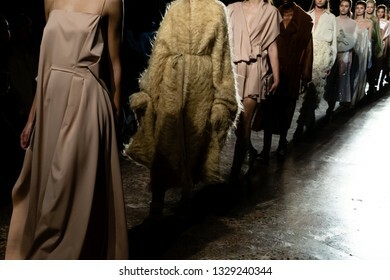 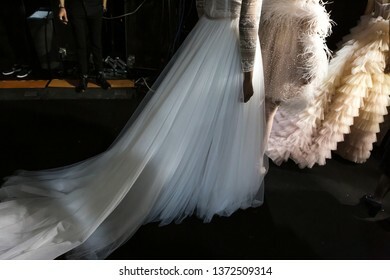 MILAN, ITALY - FEBRUARY 20: Gorgeous models walk the runway at Alberto Zambelli show during Milan Women's Fashion Week on FEBRUARY 20, 2019 in Milan. 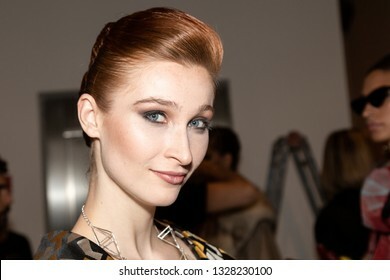 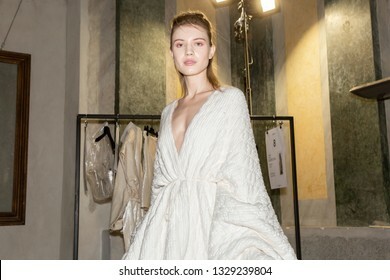 MILAN, ITALY - FEBRUARY 20: Gorgeous model poses in the backstage just before Alberto Zambelli show during Milan Women's Fashion Week on FEBRUARY 20, 2019 in Milan. 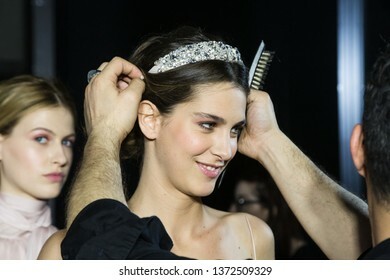 MILAN, ITALY - FEBRUARY 20: Gorgeous model poses in the backstage just before Manuele Canu show during Milan Women's Fashion Week on FEBRUARY 20, 2019 in Milan. 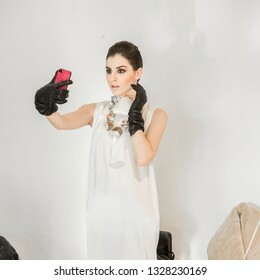 MILAN, ITALY - FEBRUARY 20: Gorgeous model takes a selfie in the backstage just before Manuele Canu show during Milan Women's Fashion Week on FEBRUARY 20, 2019 in Milan. 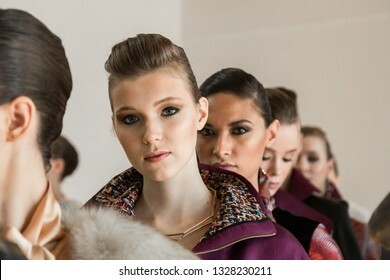 MILAN, ITALY - FEBRUARY 20: Gorgeous models pose in the backstage just before Manuele Canu show during Milan Women's Fashion Week on FEBRUARY 20, 2019 in Milan. 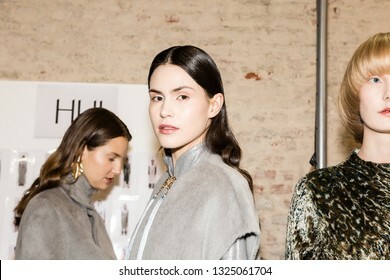 MILAN, ITALY - FEBRUARY 23: Gorgeous models pose in the backstage just before Hui show during Milan Women's Fashion Week on FEBRUARY 23 2019 in Milan. 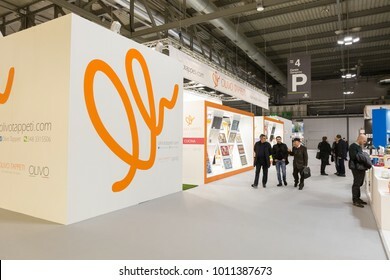 MILAN, ITALY - JANUARY 26: People visit HOMI, home international show and point of reference for all those in the sector of interior design on JANUARY 26, 2018 in Milan. 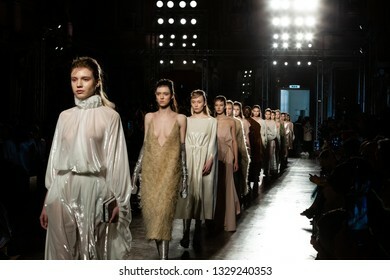 MILAN, ITALY - SEPTEMBER 20: Gorgeous models walk the runway at Genny show during Milan Women's Fashion Week on SEPTEMBER 20, 2018 in Milan. 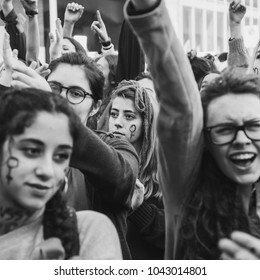 MILAN, ITALY - MARCH 8: Secondary school students take part in a march to celebrate the International Wome's Day on MARCH 8, 2018 in Milan. 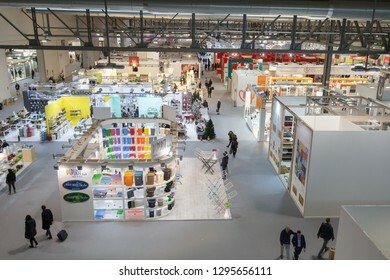 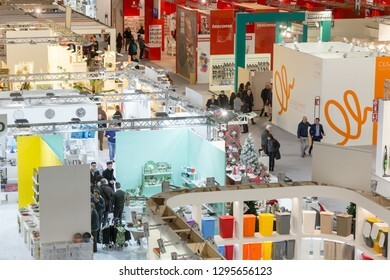 MILAN, ITALY - JANUARY 25: Top view of people and booths at HOMI, home international show and point of reference for all those in the sector of interior design on JANUARY 25, 2019 in Milan. 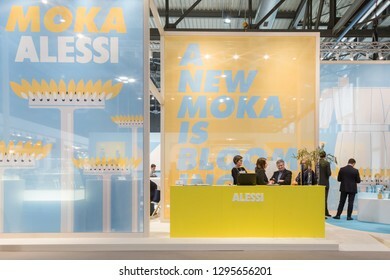 MILAN, ITALY - JANUARY 25: Alessi stand at HOMI, home international show and point of reference for all those in the sector of interior design on JANUARY 25, 2019 in Milan. 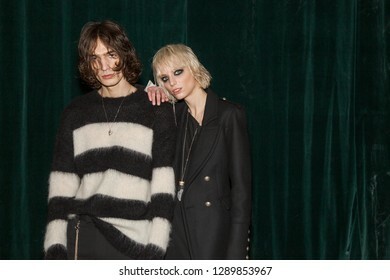 MILAN, ITALY - JANUARY 14: Beautiful models pose in the backstage just before Spyder show during Milan Men's Fashion Week on JANUARY 14, 2019 in Milan. 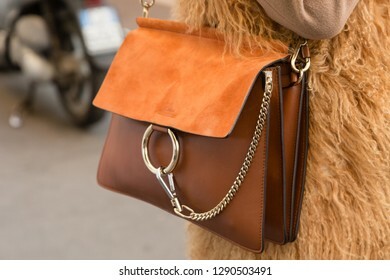 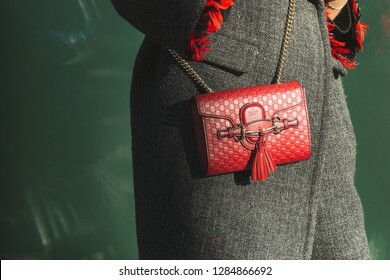 MILAN, ITALY - JANUARY 12: Detail of bag outside Magliano fashion show during Milan Men's Fashion Week on JANUARY 12, 2019 in Milan. 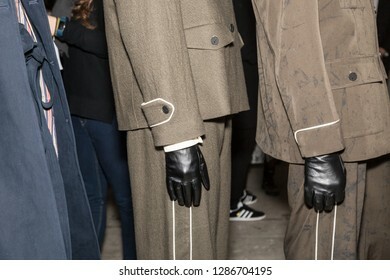 MILAN, ITALY - JANUARY 12: Fashionable man poses outside Magliano fashion show during Milan Men's Fashion Week on JANUARY 12, 2019 in Milan. 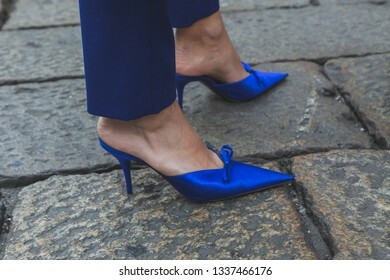 MILAN, ITALY - JANUARY 12: Detail of shoes outside Magliano fashion show during Milan Men's Fashion Week on JANUARY 12, 2019 in Milan. 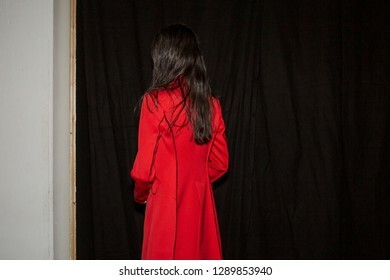 MILAN, ITALY - JANUARY 14: Beautiful model poses in the backstage just before Isabel Benenato show during Milan Men's Fashion Week on JANUARY 14, 2019 in Milan. 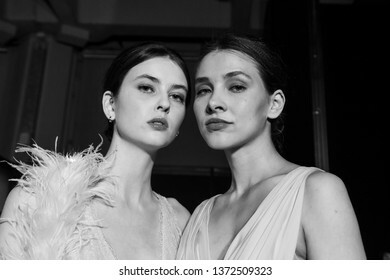 MILAN, ITALY - JANUARY 14: Beautiful models pose in the backstage just before Isabel Benenato show during Milan Men's Fashion Week on JANUARY 14, 2019 in Milan. 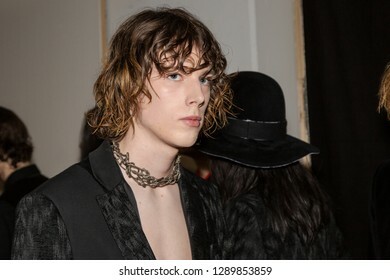 MILAN, ITALY - JANUARY 13: Fashionable man poses outside John Richmond fashion show during Milan Men's Fashion Week on JANUARY 13, 2019 in Milan. 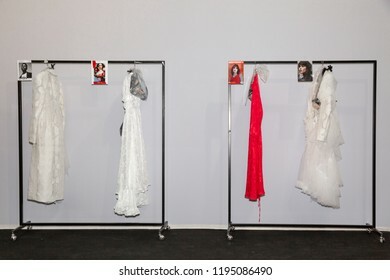 MILAN, ITALY - SEPTEMBER 21: Clothes racks the backstage just before Act n 21 show during Milan Women's Fashion Week on SEPTEMBER 21, 2018 in Milan. 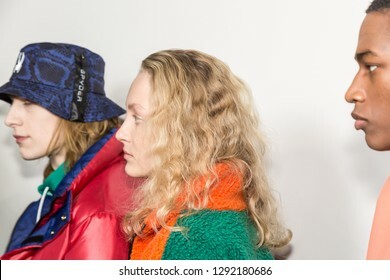 MILAN, ITALY - JANUARY 13: Beautiful models pose in the backstage just before Miaoran show during Milan Men's Fashion Week on JANUARY 13, 2019 in Milan. 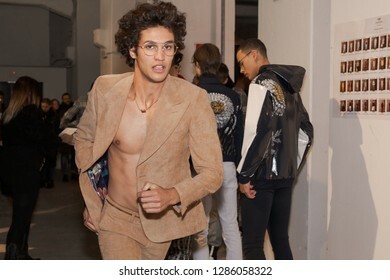 MILAN, ITALY - JANUARY 12: Beautiful model runs in the backstage just before Miguel Vieira show during Milan Men's Fashion Week on JANUARY 12, 2019 in Milan. 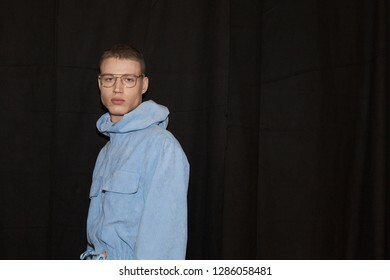 MILAN, ITALY - JANUARY 12: Beautiful model poses in the backstage just before Miguel Vieira show during Milan Men's Fashion Week on JANUARY 12, 2019 in Milan. 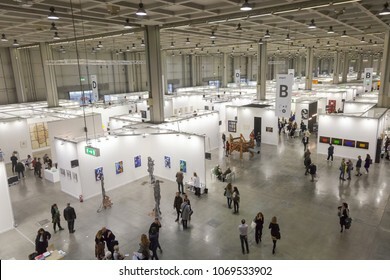 MILAN, ITALY - APRIL 13: Top view of people and booths at Miart, international exhibition of modern and contemporary art on APRIL 13, 2018 in Milan. 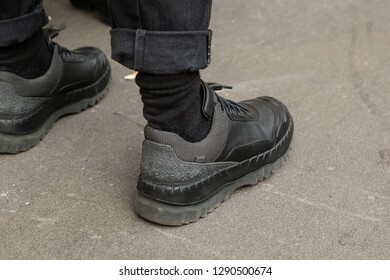 MILAN, ITALY - JANUARY 14: Detail of shoes outside Armani fashion show during Milan Men's Fashion Week on JANUARY 14, 2019 in Milan. 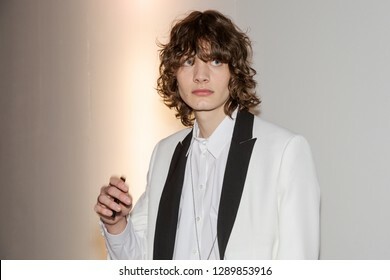 MILAN, ITALY - JANUARY 14: Fashionable man poses outside Armani fashion show during Milan Men's Fashion Week on JANUARY 14, 2019 in Milan. 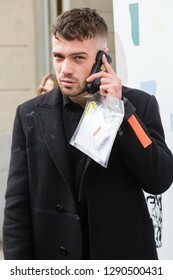 MILAN, ITALY - JANUARY 14: Detail of bag outside Armani fashion show during Milan Men's Fashion Week on JANUARY 14, 2019 in Milan. 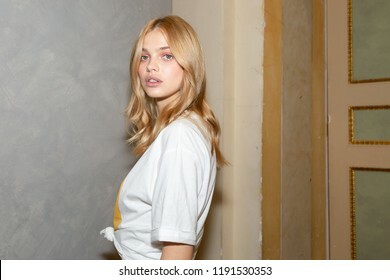 MILAN, ITALY - SEPTEMBER 20: Gorgeous model poses in the backstage just before Genny show during Milan Women's Fashion Week on SEPTEMBER 20, 2018 in Milan. 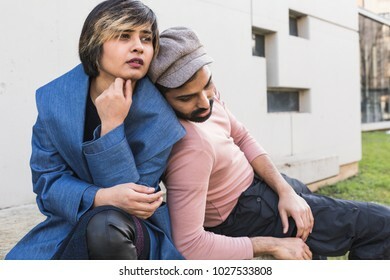 Beautiful Indian couple posing in an urban context. 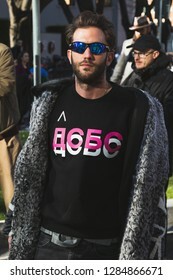 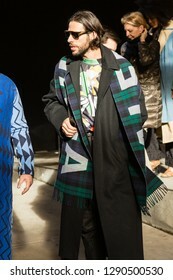 Street fashion and style. 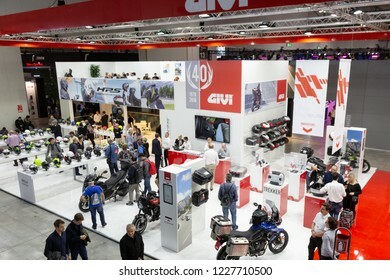 MILAN, ITALY - NOVEMBER 6: Top view of people and stands at EICMA, international motorcycle exhibition on NOVEMBER 6, 2018 in Milan. 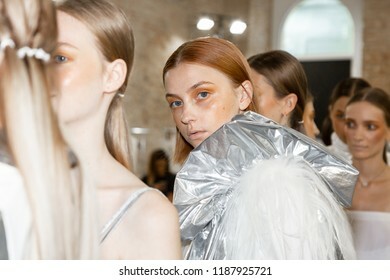 MILAN, ITALY - SEPTEMBER 19: Beautiful model poses in the backstage just before Alberto Zambelli show during Milan Women's Fashion Week on SEPTEMBER 19, 2018 in Milan. 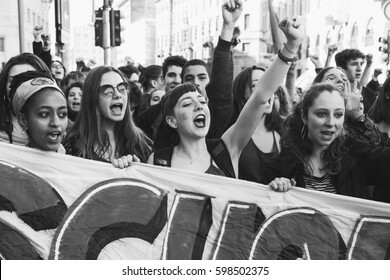 MILAN, ITALY - MARCH 8: Secondary school students take part in a march to celebrate the International Women's Day on MARCH 8, 2017 in Milan. 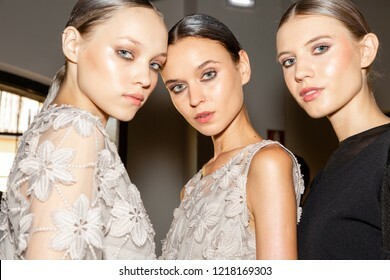 MILAN, ITALY - SEPTEMBER 23: Beautiful models pose in the backstage just before D.Exterior show during Milan Women's Fashion Week on SEPTEMBER 23, 2018 in Milan. 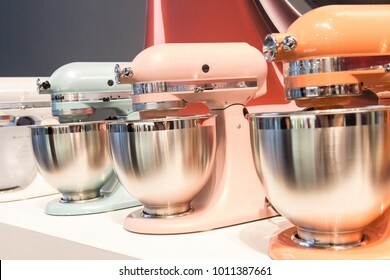 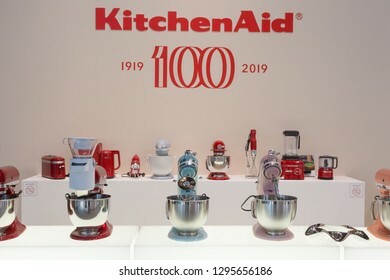 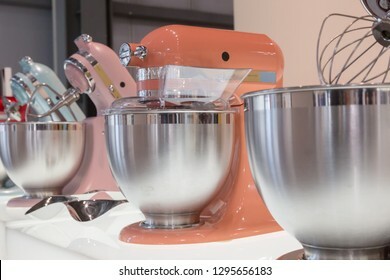 MILAN, ITALY - JANUARY 26: KitchenAid stand mixers on display at HOMI, home international show and point of reference for all those in the sector of interior design on JANUARY 26, 2018 in Milan. 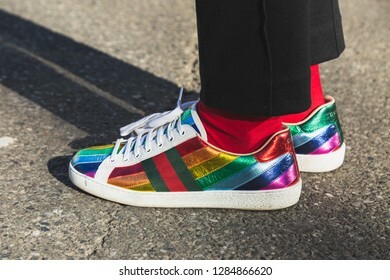 MILAN, ITALY - SEPTEMBER 20: Detail of shoes outside Gucci fashion show building during Milan Women's Fashion Week on SEPTEMBER 20, 2017 in Milan.